A few weeks ago, I added a new cookbook to my collection, Cooking in the South﻿ by Johnnie Gabriel, copyright 2008. While Ms. Gabriel is famous for her desserts, I was drawn to this recipe. 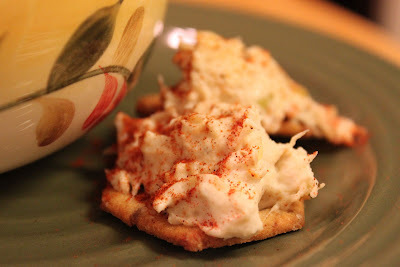 I'll be the first to admit that crab meat can be rather expensive and I only buy it a couple of times a year. But, I broke down and bought some yesterday because I wanted something different and couldn't get this recipe out of my mind. To justify the price, I declared last night a special occasion - it was the beginning of my week-long vacation. I haven't had a week off since last Christmas and decided to celebrate nine days away from the grind. Preheat oven to 350 degrees. Coat a small baking dish with nonstick cooking spray. 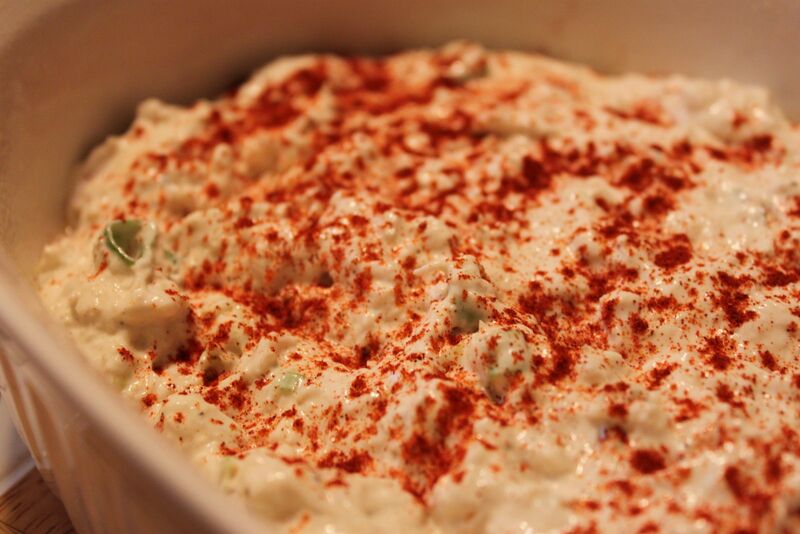 In a small bowl, combine the cream cheese, milk, and horseradish, mixing well. 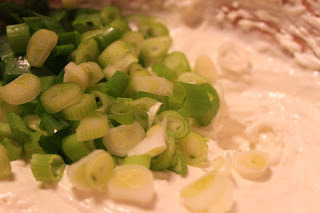 Add the scallions. Fold in the crabmeat. 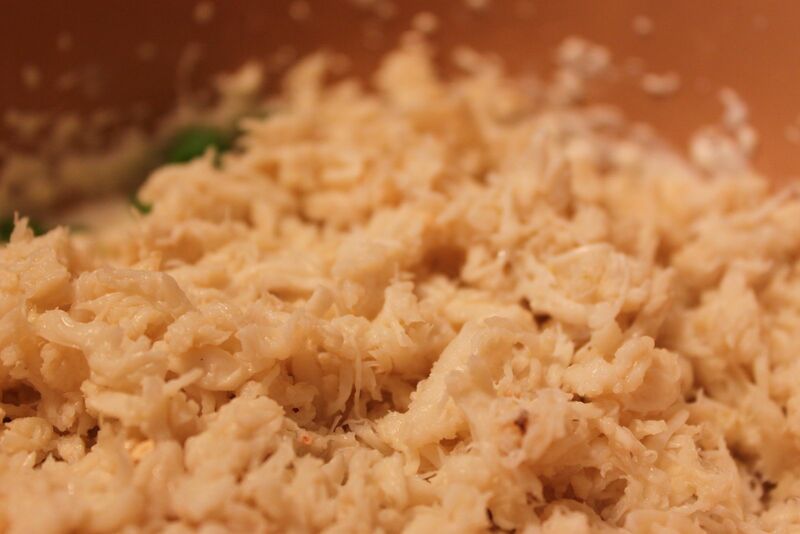 Spread the crab mixture evenly on the bottom of the prepared baking dish. Top with toasted almonds and sprinkle with paprika. Bake for 20 minutes. 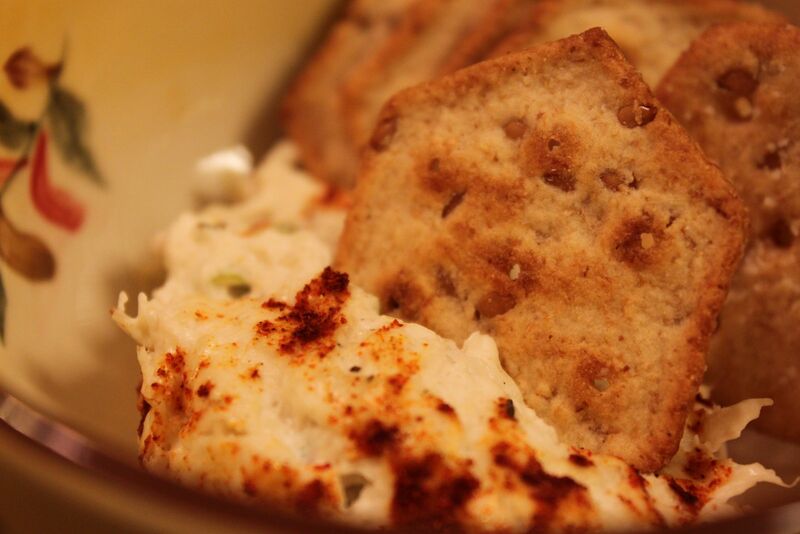 Serve with crackers of your choice. Makes 8 servings. 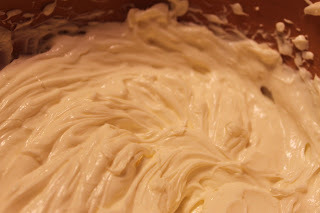 Blend the cream cheese with a mixer until smooth and creamy. 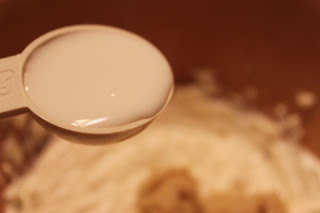 ﻿Add two tablespoons of milk. Add the horseradish. 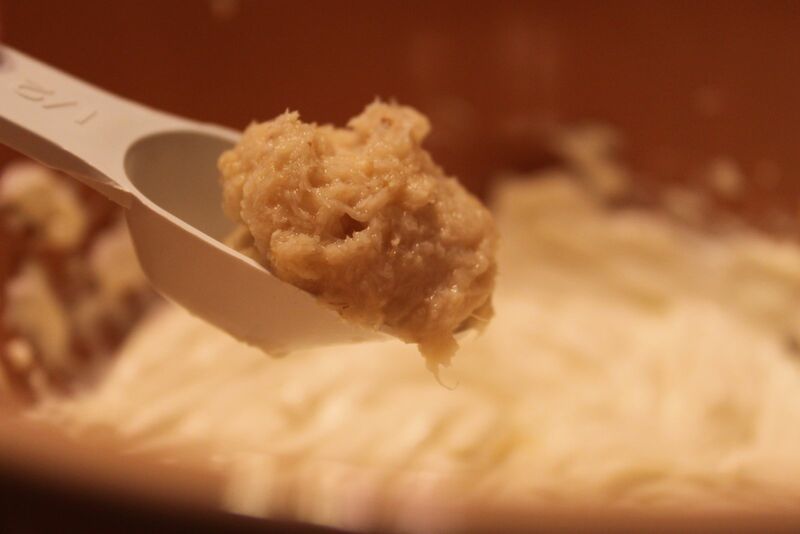 We love horseradish. Eric uses tons of it making his famous homemade cocktail sauce. I bought a new bottle for this occasion because I wasn't sure if we had any left in the fridge. You can find it in the dairy section at your grocery store. This was one large green onion chopped. All the green onions in the grocery store seem really large these days. Odd! Now, the recipe didn't call for this, but you know how I like to doctor things up. I sprinkled in some seafood seasoning, probably about 1/4 tsp. This was an 8-oz. container of select crab meat. It was white and gorgeous. I gently folded it into the cream cheese mixture to keep the pieces as large as possible. I will admit that I went without the almonds. Number one, I didn't have any. Number two, I don't think Eric would have cared for them anyway. I sprinkled with paprika and baked for about 20 minutes. The dip was wonderful! The eight-serving suggestion is obviously for people with small appetites. Eric and I almost all of it except for about half cup in about ten minutes, only stopping because dinner was almost done and we needed to save room. I think this is the perfect amount for two people who love to eat. Isn't Johnnie Gabriel, Paula Deen's cousin? Yes, she's Paula's cousin. Johnnie has a great cookbook, "Cooking in the South". She has a new cookbook, "Second Helpings" but I don't have that yet. It's on my wish list.